The viral Adult Swim parody Too Many Cooks, while not lethal, is certainly proving itself an infectious 11 minutes of insanity. Too Many Cooks is big. And by big, I mean 2.3 million views big and counting. Not too shabby for an offputting 11-minute 1980's sitcom opening parody that first aired at 4 a.m. on Adult Swim. 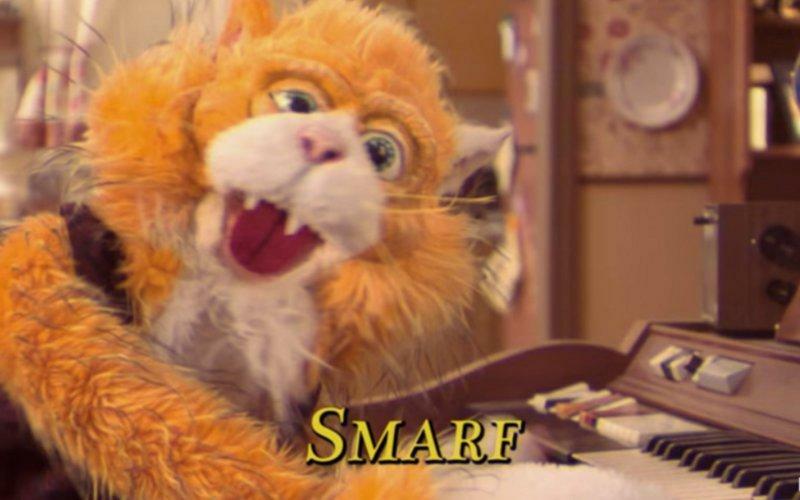 The success of Too Many Cooks has already lead to publications like The New Yorker to try and find meaning in the bizarre short and interviews for both its creator and its creepy, machete-wielding star (none yet with Smarf, because he's a puppet). Now, not everyone is a big fan of the warped viral sensation, including my girlfriend, who has threatened to cook me if I sing the Too Many Cooks theme and does not approve of this particular article. New York Magazine even put out an article on how people can help block out the obnoxiously catchy theme song. The hit video may be divisive, but it's twisted tale still continues to reach a bigger audience every day, as evidenced by the nearly 1 million new views the video has gotten since Nov. 10. As is the case with all viral hits (ex. Harlem Shake), we are now starting to see new takes on the just over one-week-old sensation. Ever wanted to see an 8-bit, chiptune version of Too Many Cooks? Well, we've got that thanks to Rush Coil. How about a particularly bad video using the main theme to promote kittens? Unfortunately, it exists. Were you hoping to see a Cookie Monster montage? Well, it's not an official Sesame Street parody (although the show does like to take on some rather adult productions at times), but Too Many Cookies features your favorite insatiable consumer of crumbly confections regardless. Too Many Cooks has gotten some love outside of parodies of the parody, with the St. Louis Blues PA crew apparently playing the theme during a game and Zooey Deschanel and Billy Eichner getting on the bandwagon. I'm usually a fan when a bizarre video featuring a crazy, bearded psychopath wielding a machete gets big, so good for Too Many Cooks. If you haven't seen the short just yet, I sugest getting ready to get really confused by the video below.